Has it come to this? Have our attention spans atrophied so much that we’ve stooped to reviewing film trailers? Don’t you know trailers have more to do with marketing than the actual quality of a film? Don’t you know it’s a moot point since the “Mad Max Fury Road” trailer is easily the best trailer of all time? Well, this one’s different. This one’s a big deal. This one’s personal. Yesterday, the trailer for Cameron Crowe’s “Aloha” premiered. The film was shot almost entirely in Hawaii during the fall of 2013 and is finally being released on May 29. A whole lot of Hawaii crew worked on this film and a big opening for “Aloha” could attract even more film production to the islands. Not to mention, Cameron Crowe (“Jerry Maguire,” “Almost Famous”) is one of my favorite writer/directors of all time. :09: Wait, is my volume on? Oh, I see what you did. Subverting expectations. We’re in good hands. :12: Whoa. Kenny Powers is in this movie? :29: Failure. Similar inciting incident as “Elizabethtown.” Just like in “Jerry Maguire.” Overcoming failure is a theme in Crowe’s work. :31: Wait. “From Academy Award nominated writer Cameron Crowe.” Yes, he was nominated for “Jerry Maguire” but he WON an Oscar for writing “Almost Famous.” Marketing guys, you’re fired. :35: “Did you know the human head weighs eight pounds?” I just paused the trailer to Google Jonathan Lipnicki (now 23). Thankfully, not a train wreck. 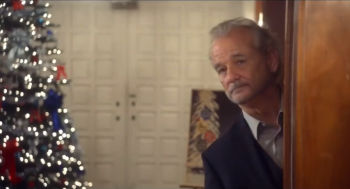 :38: Wait, was that BILL MURRAY?! :40: Hey, guys. I can see my house! :43: A friend who was on the crew of the film said Murray was a genuinely nice guy and everything you’d imagine him to be. So he’s got that going for him. Which is nice. :46: Uh-oh. This centers around the military in Hawaii. Kind of a touchy subject. I won’t tell the mainland if you won’t. It just goes to show there are plenty of stories to tell in Hawaii. Also, a maile lei. :47: Emma Stone. The new Julia Roberts? Or was Anne Hathaway the new Julia Roberts? Either way she appears to be playing the new Kelly McGillis. That’s a “Top Gun” reference for you Millennials. :55: Whoa. Rachel McAdams. She. Is. So. Perty. Hashtag #BEAUTIFUL, all-caps. Even that mole on her shoulder is dazzling. I bet her hair smells like unicorn. 1:02: Ah, that clever Crowe banter. It’s like screenwriter catnip. 1:05: Hey, I just realized: this is like a Claire and Sack reunion from “Wedding Crashers.” It just gets better and better! 1:12: No special effects needed, people. Just a typical day in Hawaii. 1:18: Ooh, first false note. Emma Stone doing the hula. It looks bad, but maybe it’s out of context. Let’s pretend that didn’t happen. 1:21: “There’s greatness in this guy.” A direct descendant of “I am looking for a dare to be great situation,” from Lloyd Dobler in “Say Anything.” That’s a good thing. 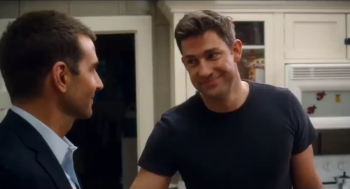 1:25: We’ve got a love triangle. Stone or McAdams. Wait! 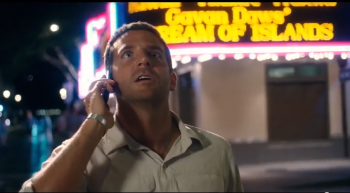 Cooper was faced with a similar impossible choice in “She’s Not That Into You” (yes, I watched it). In that film, he had to choose between Jennifer Connelly and Scarlett Johansson. Brad Cooper sure has a tough life, doesn’t he? You may be Rocket Racoon, but I’m very tall. 1:29: Hey, Jim from “The Office.” Apparently there are absolutely no ugly people in this film. 2:05: And here comes the climactic montage highlighting the much anticipated Cameron Crowe-curated soundtrack (this song is Cold War Kids’ “First” in case you were wondering). 2:10: Seriously, who isn’t in this movie? 2:15: Chee-hoo! There’s the shaka. 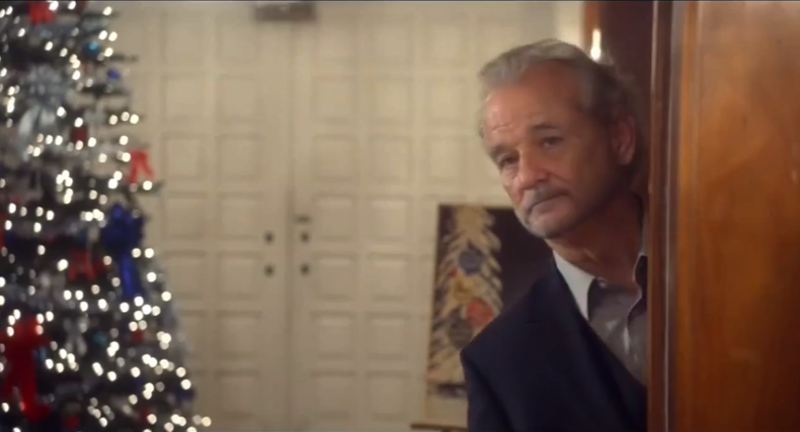 2:20: Preach it, Bill Murray. So maybe the trailer isn’t quite as good as “Mad Max Fury Road.” But in a year stacked with “Star Wars: The Force Awakens,” “Jurassic World,” and “The Avengers: Age of Ultron,” this little story is going to be a big film for Hawaii in 2015. For me, summer officially starts on May 29. And I’ll be spending it indoors. 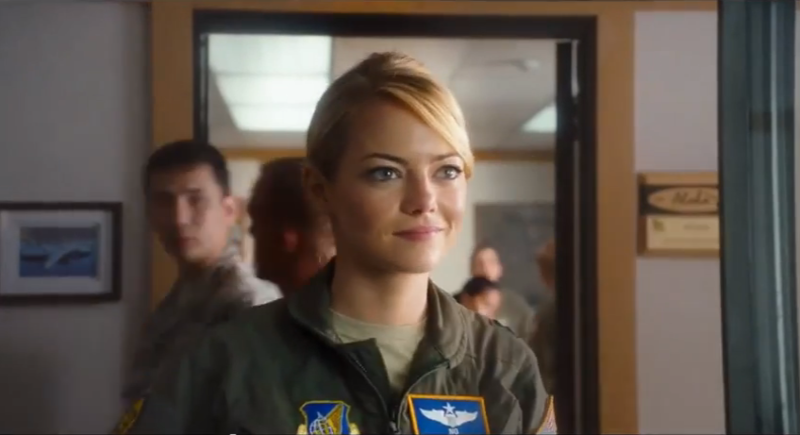 Cameron Crowe’s “Aloha” premieres on May 29th. Crowe’s directorial debut, “Say Anything” screens on Wednesday, February 25th for the Consolidated Theatres Hana Hou Picture Show at Ward.